Both High Fields Farm and Fairhill Farm are stunning settings for a wedding and other special events. My daughter had her tented wedding reception and dinner/dance on our Fairhill Farm on a hill side site where we landscaped a level area for the tent for the event. The tent site will easily accommodate a 40' by 80' tent plus a 20' by 20' catering tent with connector and entry marquee canopies. There is also ample room for a 20' by 20' Ladies' Powder Room and Porta Potties or Gentlemen's Room. 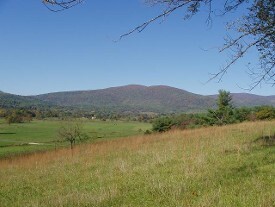 The site has spectacular panoramic views of the Blue Ridge Mountains. It is an ideal location for up to 125 guests. THE most stunning Virginia wedding venue with mountain views. The most affordable and breathtaking wedding venues near Charlottesville. 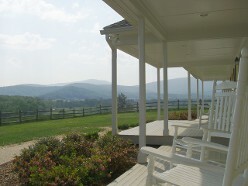 High Fields Farm offers views of the Blue Ridge and Southwest Mountains as a stunning backdrop for your wedding day, anniversary dinner, birthday party or other special event. The 130 rolling acres and beautifully landscaped grounds are an ideal location for small intimate gatherings or weddings and other events up to 50 guests. Whether a lovely cocktail reception by the pool, a gourmet meal in front of a glowing fire or a sunset dinner under a tent, we will help you create an event to be remembered by all! 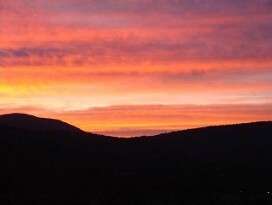 Renew your vows with stunning mountain views as the backdrop starting at only $250! Take engagement pictures for a $100 contribution to help feed our animals or Graduation Pictures for a $50 contribution. Please visit our website "Weddings and events at Fairhill Farm"
for more details and spectacular photos by clicking on the photo below.